The Mont Order, often just called Mont, is an information society of writers and networks based in different countries who collaborate to broaden their influence. To date, this has been achieved mainly through the internet. 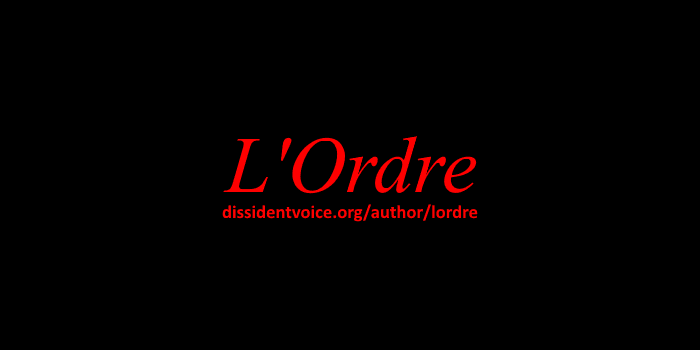 The Mont Order has held online audio conferences since February 2015. The Mont Order's secret wiki created via PBworks holds information on the origin and literature of the Mont Order as well as our current structure, ranks and members. Members will be invited via email and will be able to contribute pages or post comments and questions on this literature. The public will not have access to it. STATEMENT 2: THE MONT ORDER IS BEHIND THE "ANTI-GROUPS"
Automated lists, accounts and newsletters have been set up as an experiment in gaining a greater online media foothold with zero maintenance. This will not only extend the influence of the Mont Order into political media niches without requiring any effort or time from us, but it will also enable our members to keep track of certain political subjects as needed. Two "anti-groups" have been set up and have gathered significant email subscribers: the Anti-control group and the Anti-NATO group. Each "group" has an automated Twitter account and an automated newsletter, based on a list of up to a hundred individuals associated with its cause. The Friends of the Mont Order group created by Raincoaster at Facebook has seen a surprising growth in membership. Our hope is that it will reach a point where members can confidently post to the group and a minimal amount of admin involvement is needed. Due to the continued growth in its membership and the high amount of activity there, the group can be deemed a success so far. Many clubs and societies will send out free material to their members in the post. 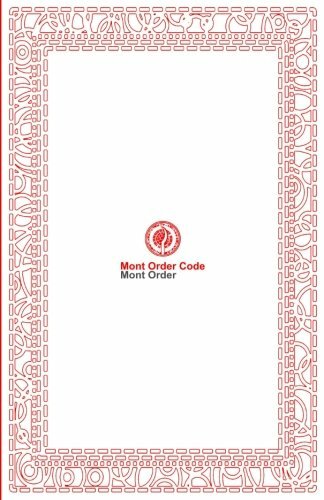 The Mont Order is able to issue professionally-made die struck metal badges and print copies of the Mont Order Code, developed in October 2015 to members who are confident to specify a postal address for this purpose. Members of the Mont Order believe Labour MPs in the UK have demonstrated backstabbing behavior in their efforts to remove Jeremy Corbyn as Leader of the Opposition. The Order, while not being a pro-Corbyn group, considers ongoing schemes against Corbyn to be illegitimate acts of bullying. Members of the Mont Order believe Turkish President Erdogan plotted and exploited the failed military coup against him in order to seize more power and demand the detention or execution of his opponents. Lists of those arrested appeared to have been prepared prior to the events. At the same time, the military coup can also be considered ineffective and unjustifiable. The solution to the military occupation and actions by resistance groups in Indian-controlled Kashmir is a referendum on the future of this conflict-prone region. The blinding of children caused by pellet guns, and the killings by Indian forces, amount to cruelties and atrocities by the Indian regime and reinforce the urgency for a just settlement of the conflict. "Integration", humiliation of Muslims by the state, and blaming Islam for violence are non-answers to terrorist threats. These steps will only deepen tensions and extremist views on all sides in European countries, where terrorist incidents have occurred. We have noted that incidents in Europe are beginning to resemble a more American pattern of "mass shootings" but similar tragedies have curiously not been occurring in the UK. In addition, editorial policies of Western media clearly follow a pattern of only describing attacks as "terrorist" after an attacker is described to be a Muslim.